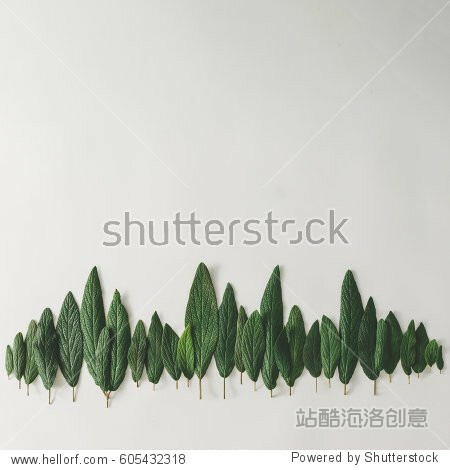 Forest treeline made of green leaves on bright background. Minimal nature concept. Flat lay.